Who are the providers of pro-Polisario activists in the Canary Islands? The Spanish media have once again accused the Algerian power of using secret money for propaganda ends. 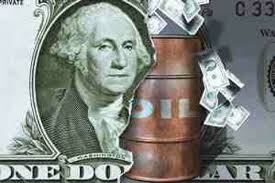 With the price of a barrel of oil crossing the US$100, funds are overflowing. Inquiries and analyses by Spanish and Western experts found evidence that a large part of this oil windfall was used to purchase Russian armament and to finance propaganda and international lobbying to the benefit, among others, of the Polisario separatist movement settled in Tindouf, Southwestern Algeria. In a story published last Monday, the Spanish newspaper “El Dia” raised questions as to the financing sources of Carmelo Ramirez during his travels inside the Canary Islands and during his trips to the camps of Tindouf. This Canarian pro-Polisraio activist announced few days ago in Lanzarote, on the occasion of the 39th anniversary of the Polisario creation, the organization of a mission to the Tindouf camps next November. In the story entitled “loss of confidence”, the Canarian journalist Ramon Moreno, tries to dig deeper in the origin of this money which finances “the travels of this agitator (who is more concerned by the rights of the Sahrawi people than the rights of his own people)”. The journalist puts in the same dock Willy Toledo, who, two years ago, left film sets to hit the headlines of all the media because of his backing to the actions of the extreme left (…) and to the Sahrawi people’s struggle. Toledo who has a considerable personal fortune, received “subsidies worth 234,000 euro,” Moreno wrote, letting the reader guess where all this money was coming from. For the observers, it is however difficult to bring irrefutable proofs as to the involvement of the Algerian regime or other sides in cases where secret money has been used in an opaque manner for hidden purposes and for international lobbying. Money has no smell, no color.